“Welcome to New York City, the capital of the world,” our Manhattan harbour cruise guide, David, calls out over the loud speaker in an outgoing, over-the-top New York accent. I had never thought of New York as the capital of the world but after a week here I could understand why it might be considered so. 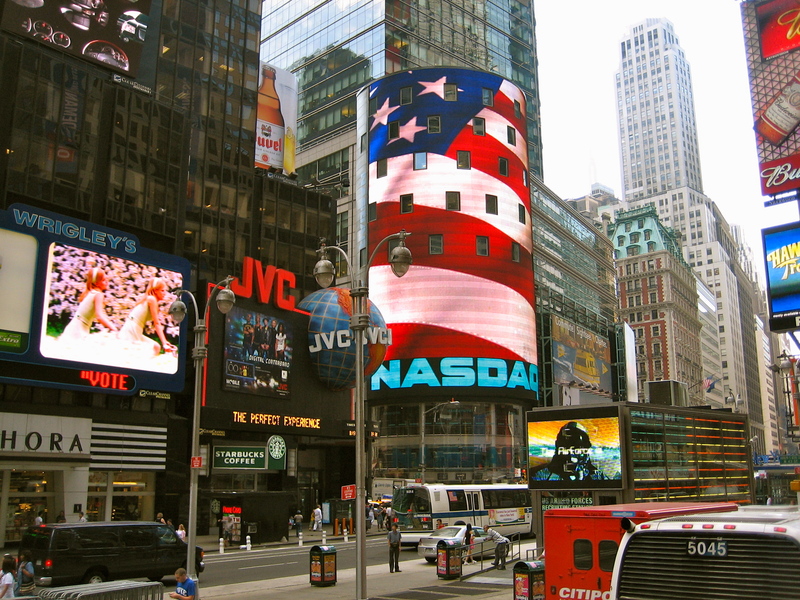 The big apple is a throbbing, thriving metropolis, made up of a melting pot of every nationality on earth. All here to live the American dream where everything is big, everything is fast, anything is possible and choice is overwhelming. Being in Manhattan is all about being offered more than anywhere else on earth, where everything is bigger: the skyscrapers, the lights, the coffees, the shopping, the museums, the traffic and the people. No matter where your head turns, and your head turns a lot in New York, things are larger than life. Small coffees are big, medium coffees are large, and large coffees are gi-normous. Put simply, you can’t get a small or normal sized coffee. Small just doesn’t exist. The meals are gigantic so be aware that when you order a sandwich or breakfast, you can probably share it between two and when you ask for a large pizza it may take up an entire table. We all know Manhattan is probably the world’s most famous skyline with majestic structures like the Empire State Building, Chrysler building and the new One World Trade Center (National September 11 Memorial), and to experience it is as easy as walking down any street in on the island. Without doubt, the best perspective on this enormous city is from the observatory at the Empire State building. After being screened by airport-style security, we were filed into the elevator to ascend 80 floors, where we changed to another lift for the final few storeys, and ultimately, the exhilarating view. We’re blessed with a clear day and visibility is more than 40 kilometres (25 miles). A hand-held interactive audio phone provides the narrative and brings the vista to life. The audio tour’s an absolute must for it’s unique, amusing and informative. At night, New York’s third largest building is lit up with a spectrum of colours, with the light display changing every few days. Uptown eight blocks and we’re in Times Square. Electricity usuage overnight here could probably power a an Australian town for a week. No expense is spared to make every metre, as big and as bright as possible. This sensory blast had me singing “I wear my sunglasses at night” and delivered a glow that I could only imagine Las Vegas could match. 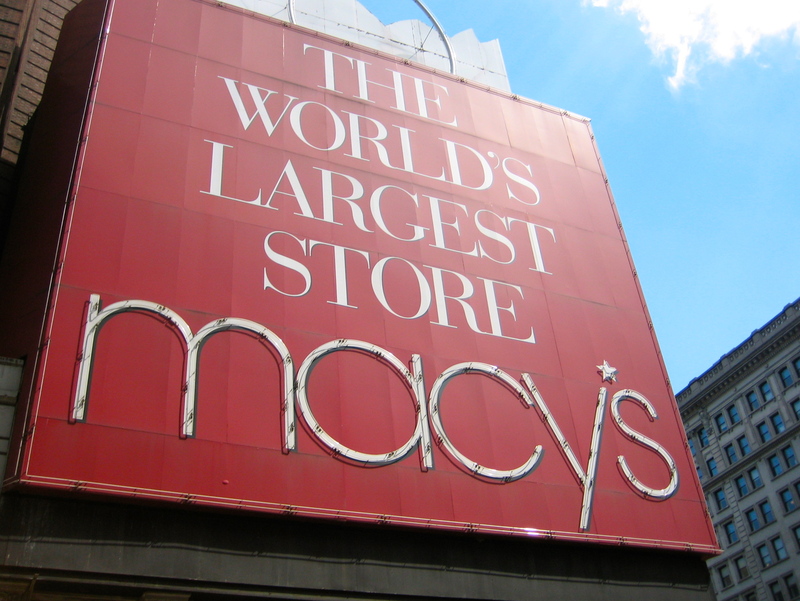 The grand scale of shopping will stupefy you as you wade through level after level of Macy’s (151 West 34th St at Broadway), which the company claims is the largest store in the world. Go to the visitor centre when you arrive as international customers receive 10% off the marked price. When on Broadway, also don’t miss H&M (1328 Broadway, at 34th St), for excellent bargains on groovy clothing and accessories for men and women. 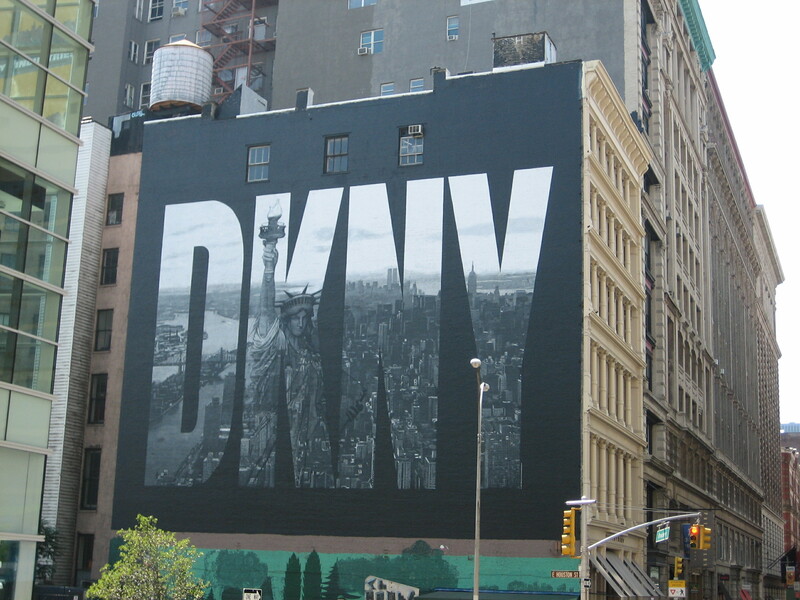 DKNY is also worth a visit (420 West Broadway). Century 21 (22 Cortland St at Church St) is a department store near the World Trade Centre site and offers some good deals. 21 claim their discounts can be “40-65% off retail every day”. We found deals on designer men’s shirts, cosmetics, shoes and accessories. However, being a high traffic store, some stock had been well handled and the women’s designer clothing level was a bit chaotic. But, on the other hand, one might also get lucky and find a Collette Dinnigan dress for half price. The nearby Canal St in Chinatown is a good destination for bargains on cosmetic jewellery, beads, bags and sunglasses. A plethora of stalls line this bustling, colourful strip. Of course a trip to New York would not be complete without buying something from Fifth Avenue. It’s a long street and these stores usually have more than one outlet on the strip. If you’re wanting to really indulge yourself with a ‘big’ purchase, check out Louis Vuitton (in Saks 611), Gucci (Trump Tower 725) or Prada (724). However if there are a little above your budget, places to visit to purchase a classy item with a more affordable price tag are GAP (680), Banana Republic (17-19 West 34th Street, near corner of 34th St and 5th Ave) or Zara (666). Be sure to pay a visit to the exclusive Barneys (660 Madison Ave) and Bloomingdales (59th St and Lexington), even if it is just for a look. These stores have A-list class and limousines out the front, but prices to go with it. Like the retail outlets, the museums are massive. You could get lost for weeks inside The Museum of Natural History, The Guggenheim Museum, The Museum of Modern Art (MoMa) or The Intrepid Air and Space Museum. New York has on offer some of the world’s best museums. Fascinating, inspiring and educational, their extensive collections will raise your eyebrows. As a city of over 8 million people, it is, at times, thick and loud. 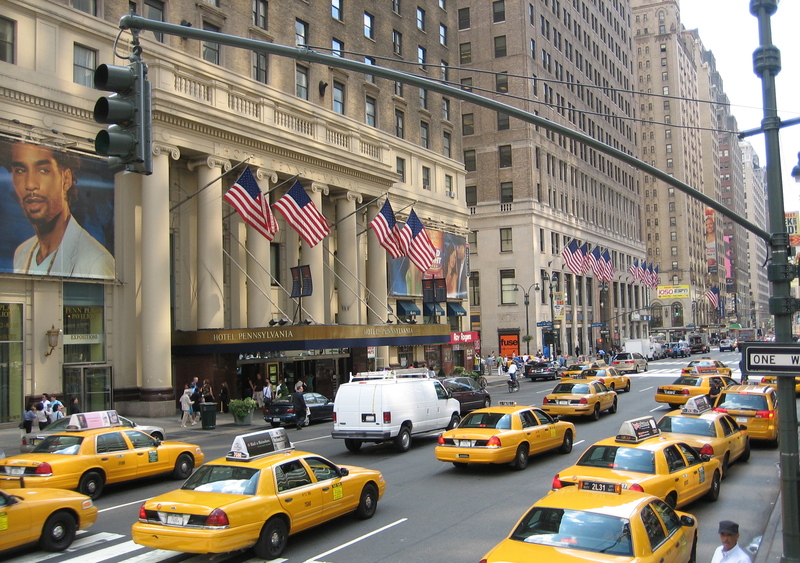 But you haven’t really experienced New York until you have been in a yellow cab, in New York’s rush hour. The traffic buzz is New York, it’s the soundtrack of life here, so turn up the volume and soak it up. As for the New Yorkers themselves, they are huge in personality and big picture people. 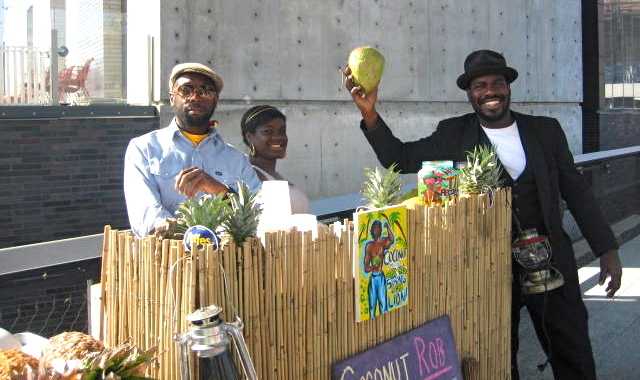 Despite the hustle and bustle, the city’s inhabitants are warm, welcoming and helpful. All the stereotypes of brash and loud Americans were dissipated with offers of assistance to read maps (didn’t even need to ask), strangers asking me about the Aussie lifestyle and hotel and restaurant staff that brought a new meaning to customer service. And after a couple of weeks of being surrounded by the American flag, the New York patriotism is a little better understood. The New York solidarity and pride in their city seems to emanate from their history as a city of migrants. Today Manhattan stands proof of how a big multicultural city can bring unity, resilience, opportunity and choice for its inhabitants. We’ve reached the climax of our cruise on the Manhattan harbour as the rambunctious tour cruise guide, announces The Statue of Liberty, the big lady who represents all things great, like freedom. The city is fast and the city is big, but hats off to you Man-Hat-Tan. Because sometimes bigger is better. 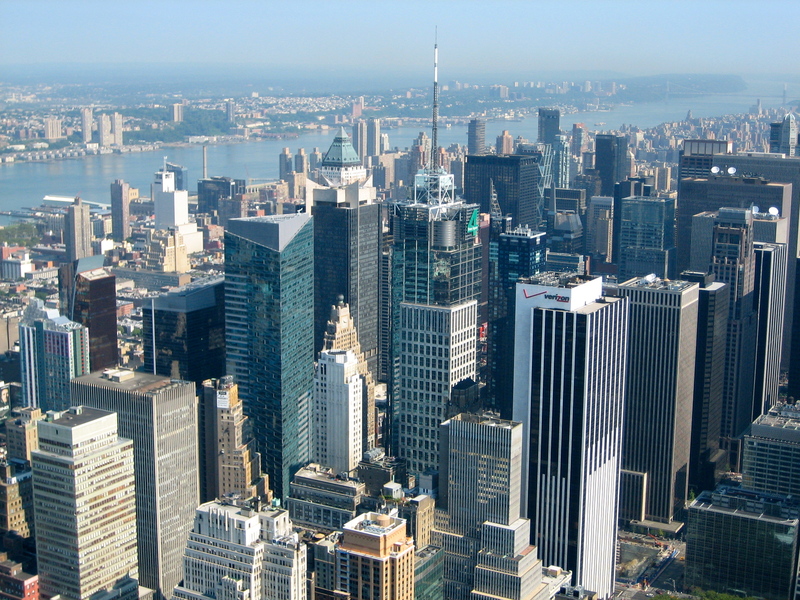 Manhattan Island is just one of New York City’s five boroughs which also includes the Bronx, Brooklyn, Queens and Staten Island. I urge you to venture further beyond Manhattan to the other boroughs. Thank you Amanda! Lovely feedback and I’m glad you enjoyed this article! Such great insights on the big personality that Manhattan is! Looking forward to more vibrant experiences around the globe with Wing Woman Adventures. Always relevant facts, inspiring stories and heartfelt advice. Thank you for sharing your insights and travelogue. I want to fly with you!